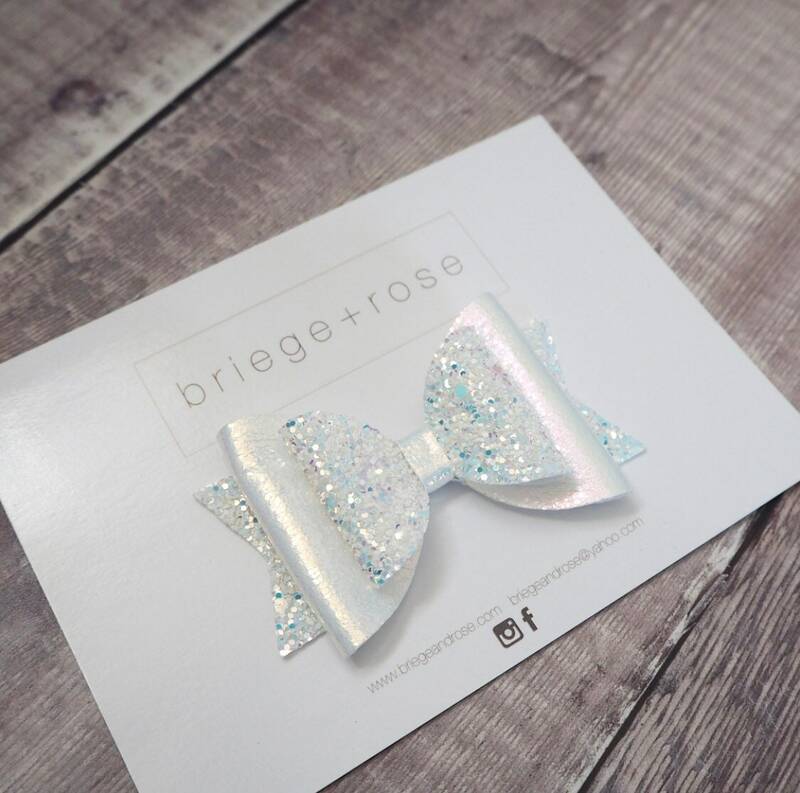 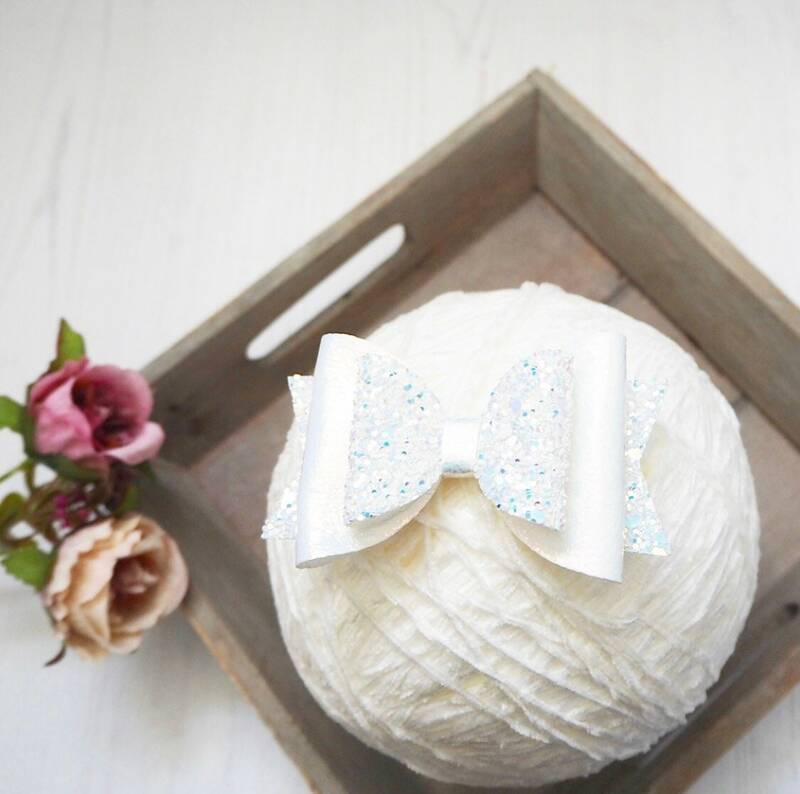 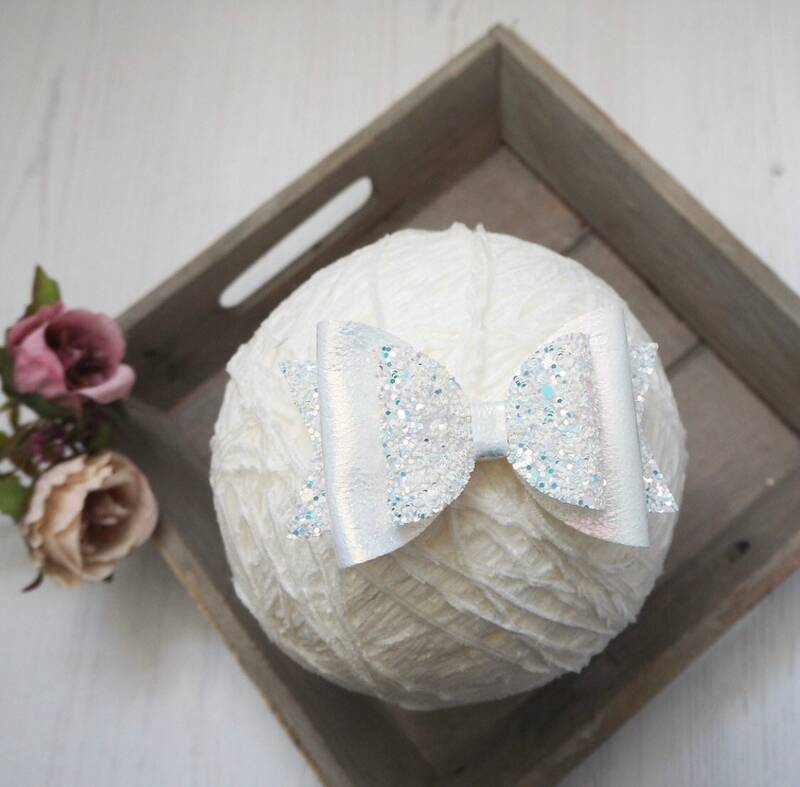 A stunning hair bow made with shimmering glitter and faux leather. 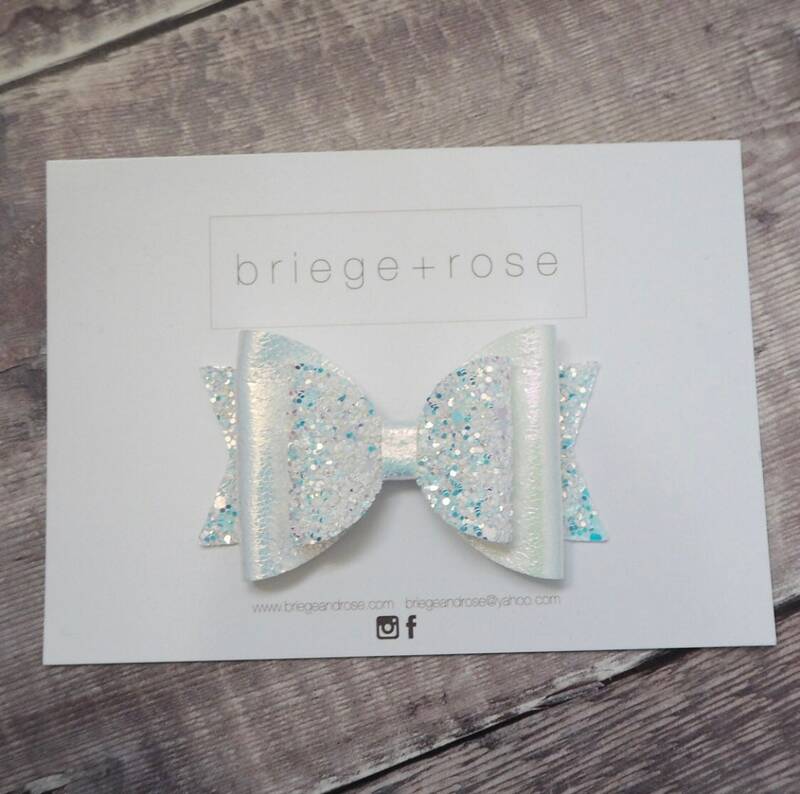 White with an oil slick style finish. 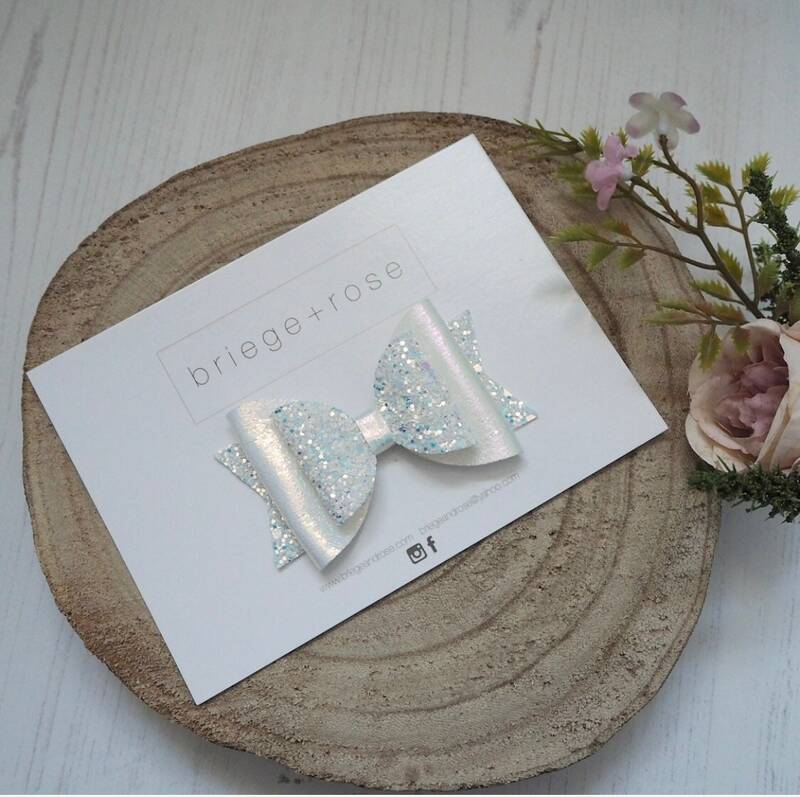 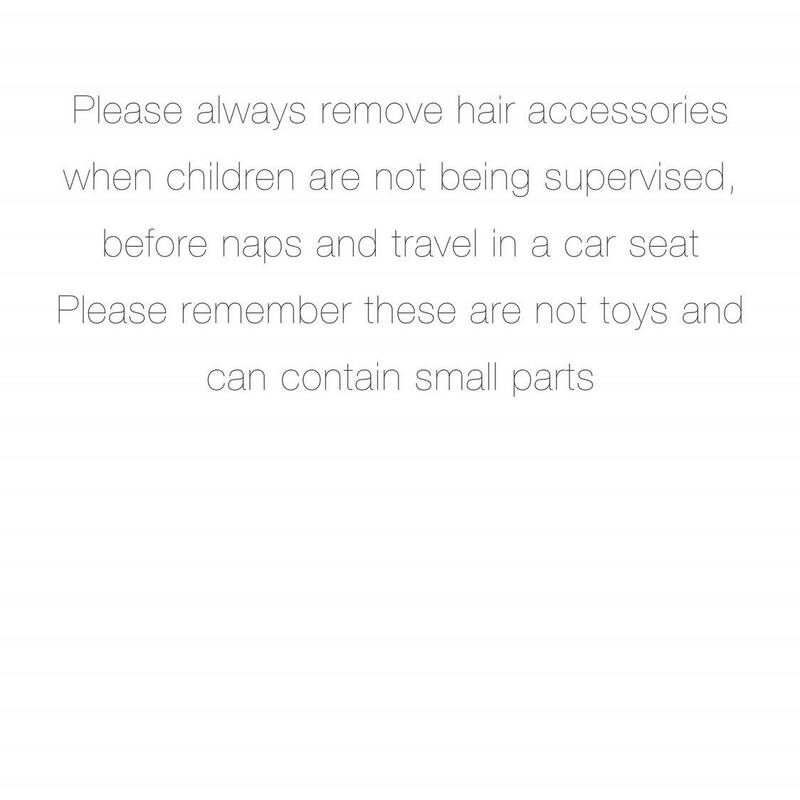 Can be made onto a clip or super soft one size fits all headband.